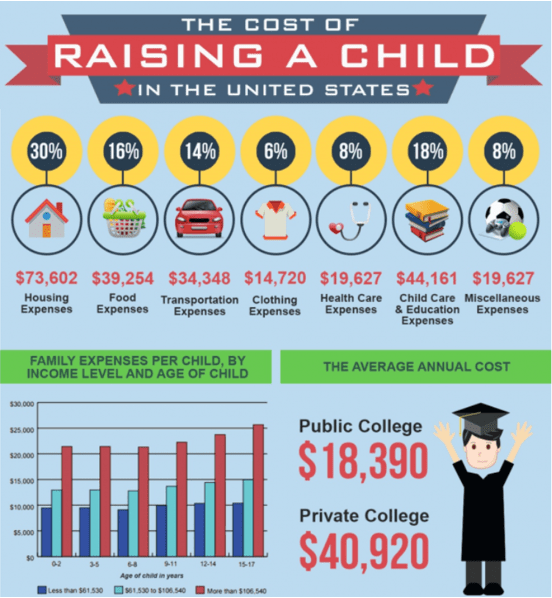 You want to protect the money you’ve earned and make sure it not only lasts for your lifetime and meets your needs, but that is also appropriately passed to your children and future generations. 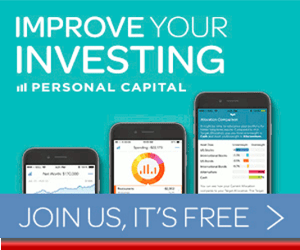 Perhaps you want to grow the money you have with smart investment strategies. Maybe you’re a company looking for a financial adviser who can serve not only your corporate needs, but also the financial planning requirements of your staff. All of these are important reasons you might be searching for a Cheshire or Manchester investment management firm or IFA. There are many options, and what’s important to realise is that a wealth management or financial adviser becomes your partner in many ways. 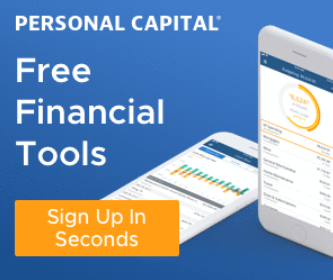 They help you determine not just how to invest your money but also how to create strategies that will allow you to meet your financial goals well into the future. 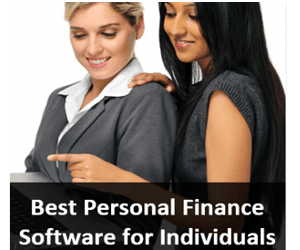 It’s a significant decision, and with that in mind, this ranking covers the best independent financial advisers in Manchester and Cheshire to help you choose the best IFA for your personal financial goals. 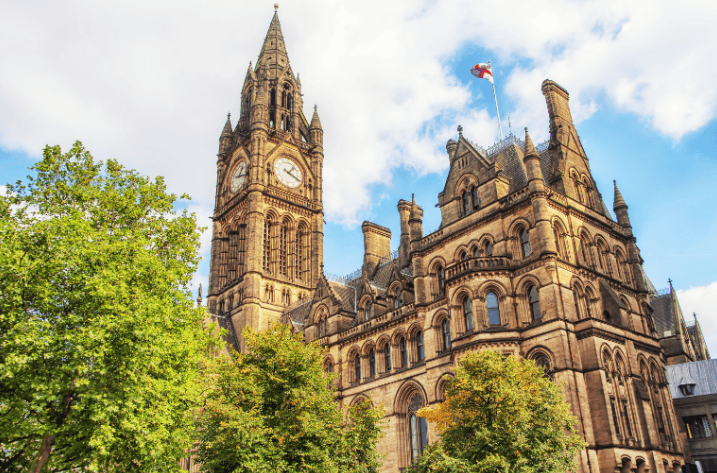 What is a Cheshire or Manchester IFA? 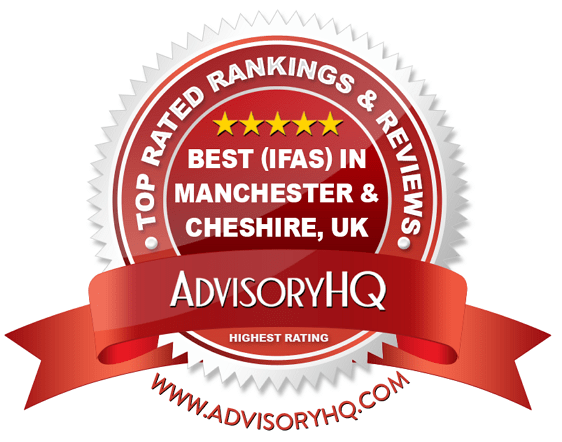 When we rank financial advisors, we typically look for advisors that are fee-only and independent; however, it should be noted that many of the advisors on this ranking of the top IFAs in Manchester and Cheshire aren’t necessarily fee-only. There is a different definition for Independent Financial Advisors in the UK, which is important to go over before going into the specific rankings of the top Manchester and Cheshire financial advisors. Since the end of 2012, IFAs in the UK are no longer able to receive commissions from financial services companies when they sell investment items, which is similar to the fee structure charged by fee-only financial advisors in the U.S. Instead, IFAs in the UK are required to set commission fees based on services offered. The client then has to agree with those fees before services are provided. The goal with these changes is to encourage financial advisors in the UK to give unrestricted, objective and unbiased, and transparent advice. To qualify as an IFA in the UK, including financial advisors in Manchester and Cheshire, the firm is required to be registered by the Financial Conduct Authority (FCA). Below, please find the detailed review of each of the top Cheshire and Manchester financial advisors and wealth managers. We have highlighted some of the factors that allowed these financial advisors in Manchester and Cheshire to score so well in our selection ranking. Cottons Financial Planning is a fully independent specialist firm offering a range of financial services tailored to the needs of individuals and businesses. This team of Manchester IFAs includes highly skilled and experienced professionals with a dedication to uncovering valuable, individualized solutions for clients. Services offered by this leading firm of Independent Financial Advisers in Manchester include general financial planning, mortgages, and company pensions. While Cottons is a Manchester financial adviser that does work with business clients, it also takes on private clients and offers in-depth, cutting edge solutions to a range of financial situations. Cottons describes their financial services as “bespoke, individual and independent advice,” and this sense of independence is important. Cottons is a trading style of Quays Wealth Management Limited, which is authorised and regulated by the Financial Conduct Authority. Additionally, when clients receive advice on regulated products, the firm emphasizes they have the protection of the Financial Ombudsman Service (FOS) and Financial Compensation Scheme (FSCS). With a strong commitment to independence and a specialty in helping corporate clients achieve better financial health, Cottons Financial Planning is one of the best financial advisors in Manchester to consider partnering with this year. Cullen Wealth is a dynamic, engaged, and professional financial adviser in Cheshire that looks at more than simply managing client money. Instead, the focus of services is on creating strategies to help clients achieve their long-term goals and objectives. 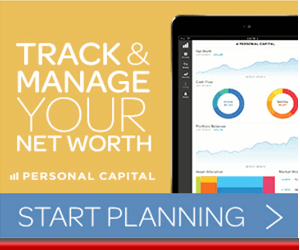 Their team of independent financial planners takes the time to craft financial solutions and wealth management options that are secure and free of unnecessary risk, yet are innovative and can drive clients toward their monetary ambitions. Leadership Team—Cullen Wealth is an owner-managed business with five directors who provide management on a day-to-day basis. Consultants—Cullen employs a team of 22 well-qualified consultants. Risk and Compliance—It’s essential to ensure adherence to Financial Conduct Authority rules and principles, which is why Cullen employs a compliance manager. Investment Committee—The Investment Committee comes together on a quarterly basis to look at how portfolios are performing and to see if changes should be made. Also part of the professional team of financial advisers in Cheshire is a technical support and business processing team as well as partners from the areas of tax, legal, investment management, and research. With a wide range of financial experts to choose from—and a diverse range of professional backgrounds—Cullen Wealth is well-prepared to serve a variety of client needs efficiently. In order to provide the highest possible level of service to clients that not only helps them meet their long-term objectives but also secures their wealth, Cullen has put in place five stages to its process of advisement. These stages include the initial phase, which is where advisers and clients get to know one another. These Cheshire IFAs will then begin researching and preparing advice. Then, recommendations are presented and discussed. After solutions are agreed upon, proposals are implemented, but contact doesn’t end at this point. As a top financial advisor in Cheshire, Cullen prioritizes meeting with clients to hold regular review meetings, to ensure wealth and investment strategies remain flexible and are always maximised. 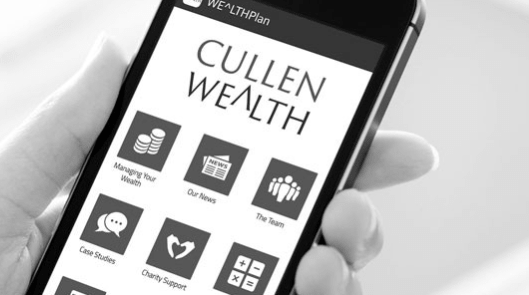 As a top financial advisor in Cheshire, Cullen Wealth provides clients with a wide range of benefits, including personalised wealth management, in-depth financial planning, and even a mobile app to help keep track of financial health in real time. With a talented team and a strong commitment to independence, Cullen Wealth is one of the best financial advisors in Cheshire to consider partnering with this year. Dewhurst Torevell is an independent Manchester wealth management firm established in 1997 that takes an active approach to financial management, working primarily with high-net-worth individuals. Although Dewhurst Torevell is a fee-based firm, we have chosen them as a top Manchester financial advisor for their personalised approach, independence, and over 100 years of collective experience from their team of Manchester financial advisors. Many of the clients of this Manchester investment management firm are long-term and have been coming to Dewhurst Torevell for many years. These long-term relationships are what help these independent financial advisers in Manchester create bespoke solutions that are not designed with a one-size-fits-all approach but are, instead, designed with the client in mind. The team will take into consideration factors that include current financial standing, future objectives, and willingness to take on risk when creating a client portfolio. Additionally, continual communication and contact are imperative. This Manchester investment management firm considers it of the utmost importance to keep clients “in the loop” as it pertains to their portfolios and wealth management, and this lets clients remain in control of what’s happening through every step of the process. According to Dewhurst Torevell, their “remuneration will reflect the nature of the advice given and the complexity and scope of the portfolio management involved.” They guarantee that they will quantify their charges to clients in writing before making any investments. These Manchester financial advisors are also committed to being transparent in their fees and charging, and they only operate on the basis of Client Agreed Remuneration, whether facilitated by the platform or product provider, or if it’s collected directly from clients out of the initial investment amount, or through a separately billed fee. 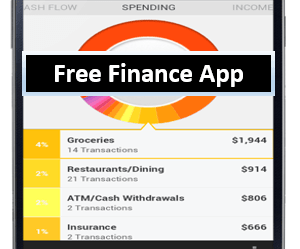 According to this financial advisor in Manchester, there are two main elements to their fees. The first is an additional advice fee, and then an ongoing portfolio review charge. Part of what makes Dewhurst Torevell one of the top Manchester financial IFAs is their client-centric commitment to transparency, independence, and collaboration. For new and seasoned investors alike, this personalised focus can not only help achieve short-term financial goals, but it also creates a strong foundation for long-term goal success, solidifying Dewhurst Torevell as one of the top firms for investment management in Manchester. Established in 1995, Equilibrium Asset Management is a Cheshire wealth management firm offering personalised financial planning and investment management. Equilibrium is a Cheshire wealth management firm that goes beyond basic investment strategies and, instead, looks at wealth management in a multi-faceted way to help clients create viable long-term plans for their finances. Having a transparent fee structure is a major component of how Equilibrium does business. As such, they have created a fee structure that is calculated as a percentage of influenced assets rather than charging based on transactions. Equilibrium also promises clients that it will ask permission to retain their fees, ensuring clients have the ultimate control over the relationship. Fees are structured according to guiding principles which include no bias as well as transparency, control, added value, and a consistently fair approach. These Cheshire IFAs are paid for managing client’s money, and not simply moving it around. This means that the annual fee charged to client covers each and every aspect of service. As such, clients of Equilibrium have the peace of mind of knowing any portfolio changes are made only with the goal of improving the portfolio. For many clients, partnering with a firm that provides a wide range of services brings added peace of mind for establishing long-term relationships, as financial goals and needs are subject to fluctuate and change over time. Remarkably, 2018 marks the third year in a row that Equilibrium Asset Management has been ranked as a top financial adviser in Cheshire, demonstrating the firm’s commitment to maintaining high standards of excellence. With a full suite of financial services, a commitment to transparency, and a strong history of industry recognition, Equilibrium Asset Management is one of the best Cheshire financial advisers to consider partnering with this year. With an additional office in London, Greystone Financial Services is a chartered Cheshire wealth management firm that offers advisory and financial planning services, as well as fund management, handled in-house. Founded in 1989, Greystone Financial Services manages a large amount of assets for clients and offers services that are both advisory and discretionary. Greystone is a distinctive financial planner in Cheshire because it is part of an elite group of regulated advisory firms in the UK that have been granted Corporate Chartered status. As a result of this prestigious status, Greystone is required to ensure all pertinent staff members are trained and maintain the highest level of knowledge and skills to provide the best possible advice to clients. It’s also critical that employees of Greystone always operate in an ethical way, with the best interest of the client at the centre of all services provided. Uniquely, Greystone is a Cheshire wealth management firm that has the distinction of also being an award-winning fund manager. The firm has been recognized as a Fund Manager of the Year by Investment Week and wealth&finance in 2017, among others. With a large team of experienced financial planners and wealth managers bringing decades of experience to the table, Greystone is one of the best financial advisers in Cheshire for clients to consider partnering with this year. The firm also boasts a sleek, user-friendly website, making it easy for clients to navigate through their service offerings, case studies, and blog articles, solidifying Greystone Financial Services as a top financial advisor in Cheshire, UK. Innes Reid Investments Limited is an independent Chartered Financial Planner in Cheshire, with an office in Chester. Founded in 1999, these financial advisors in Cheshire provide a wide range of financial planning services and solutions for private clients and businesses alike, including wealth management, divorce advice, pension planning, and more. The wide range of services available from these Cheshire IFAs provides a strong foundation for long-term relationships with clients, as financial goals and needs naturally tend to change over time. Part of what makes Innes Reid a top choice for a financial advisor in Cheshire is their large, talented staff. Along with directors, managers, and administrators, the Cheshire wealth management team consists of seven Independent Financial Advisers and six Paraplanners. In addition to their professional designations, the team at Innes Reid brings decades of proven experience in the financial industry, demonstrated by the firm’s Chartered Financial Planner status. This means that all advisors must adhere to strict codes for ethical conduct and ongoing professional development, ensuring that clients receive the highest standards of financial planning advice. As a top financial advisor in Cheshire, Innes Reid provides clients with a wide range of comprehensive, personalised financial solutions, laying a strong foundation for an ongoing wealth management relationship. With a talented team, a commitment to independence, and industry recognition as a Chartered Financial Planner, Innes Reid Investments Limited is one of the best financial advisers in Cheshire to consider partnering with this year. Kellands (Hale) LTD is an independent financial advisor in Cheshire, located in Hale. Although Kellands (Hale) is a fee-based firm, we have chosen them as a top Cheshire Registered Investment Adviser because they serve the unique and distinctive needs of individuals and businesses, working with clients across Cheshire, Greater Manchester, and the whole of the UK. In order to assess the solutions that are going to be an ideal fit for an individual client, the wealth managers at Kellands take clearly defined steps which are part of their signature process and approach. Each of these stages is designed to assess the individual characteristics and financial standing of the client, gain an understanding of their feeling toward risk, and then develop and implement the strategies that will be most valuable and beneficial. Essential to point out about Kellands, one of the top wealth management firms in Cheshire and Manchester, is that they are Independent Financial Advisers (IFAs). The firm is a Chartered Financial Planning Practice, which means Kellands is committed to maintaining the utmost standards in terms of knowledge, capabilities and ethics. Also, because they are Chartered Financial Planners, they provide holistic, bespoke client services, offering the whole market of choice. The advice provided to clients of this top financial adviser in Cheshire isn’t biased in the financial advice provided, and instead solely focused on the best interest of the client. As a large, reputable, and well-established wealth management firm in Cheshire, Kellands has the ability to create a collaborative team approach to client engagements. The firm also maintains a comprehensive suite of services, giving clients a wide range of capabilities to choose from and solidifying their ranking as a top financial advisor in Cheshire. LIFT-Financial is a prestigious Chartered Financial Planner that works with both private clients and businesses across the United Kingdom to help them maintain control of their current financial situations and also plan for a strong future. Although LIFT is a fee-based firm, we have chosen them as a top Cheshire financial advisor for their status as an innovative, pioneering, ethical, and client-centric Cheshire wealth management firm. Along with financial planning, mortgages, and insurance, this team of Cheshire financial advisers focuses on securing investor visas. This specialist team will work closely with not only clients but also immigration advisers to make sure the process goes correctly and smoothly while also helping clients meet their financial goals in a way that’s in line with their risk tolerance. 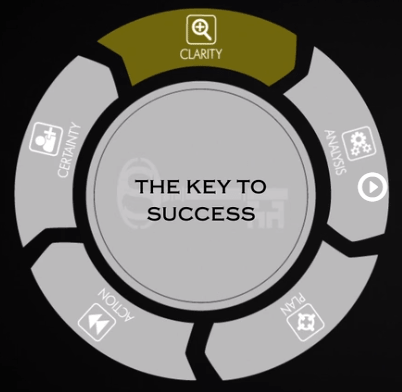 One standout aspect of what LIFT provides is called “LIFT-Sport,” which is a selection of services specifically tailored to the unique needs of professional athletes and sports figures. Sports clients pay a fee for guidance, and, rather than operating as salespeople, the LIFT team works as professional planners, always prioritising the best interest of its clients. The goal of the sports services team at LIFT isn’t just to help players and former players protect their wealth but also grow it. Some of the clients who have worked with LIFT include Nathan Redmond, Cameron Humphreys, Jack Cork, and Leigh Griffiths. LIFT has chartered status. This is a credential that’s difficult to achieve, and it’s one of the key differentiating factors we used to separate the top ranking financial advisors in Manchester and Cheshire from their competition. This means they work within the highest ethical framework, offer personalised advice, and they always put the clients’ best interests first, solidifying LIFT-Financial as a top financial advisor in Cheshire. Mutual Financial Management LLP is based in Wilmslow South Manchester. This firm of Manchester independent financial advisers has four partners and works to achieve several goals which include the provision of choice, value, and high-quality personalised service. As Registered Investment Advisers in Manchester, the professionals at Mutual Financial utilise a unique approach to providing investment advice that isn’t product-focused. The approach begins with the investment advisers working to gain a clear, in-depth picture of a client’s goals, whether simple or complex. Then, the process moves on to learning more about the time periods and risk an investor is willing to take on, and the investment advisers will also make sure clients have an understanding of taxation issues surrounding their investment choices. Most portfolios designed and implemented by this firm of investment advisers in Manchester contain five asset classes, which are fixed interest, UK equity, international equity, hedge funds and alternatives, and property. This ensures that clients can have control over their wealth management and make the right decisions for their needs, preferences, and finances. All fees are transparent and completely disclosed before the firm begins working, so you not only have the option to decide how your fee structure will be laid out, but you’ll also agree to those fees before work starts. Part of what makes Mutual Financial stand out as a top Manchester financial advisor is their commitment to keeping clients informed and included in the decision-making process in a way that is simple, transparent, and straightforward. This commitment to cutting out confusing jargon and maintaining transparency makes Mutual Financial one of the best Manchester financial advisors to consider partnering with this year, particularly for clients who have never worked with a Manchester IFA before. Succession Group is a national wealth management advisory firm with financial advisors in Manchester and Cheshire. With 20 offices and over 200 staff, Succession Group is the fastest growing wealth planning brand in England. Although Succession Group is a fee-based Cheshire and Manchester financial advisor, we have included them as a top-ranking firm for their independence and the wide range of services they provide. Independent Women, the nations first and longest running UK IFA firm specifically for women, has recently joined Succession Group, substantially expanding the firm’s offerings. 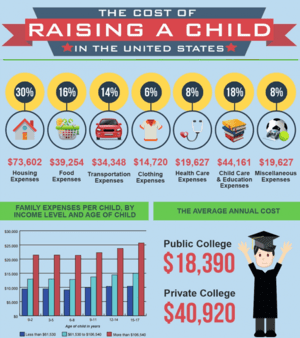 Because women have unique financial needs and concerns—like longer life spans and greater possibility of taking time from work to have children—it often helps to partner with a Cheshire or Manchester wealth management firm that understands these complexities. 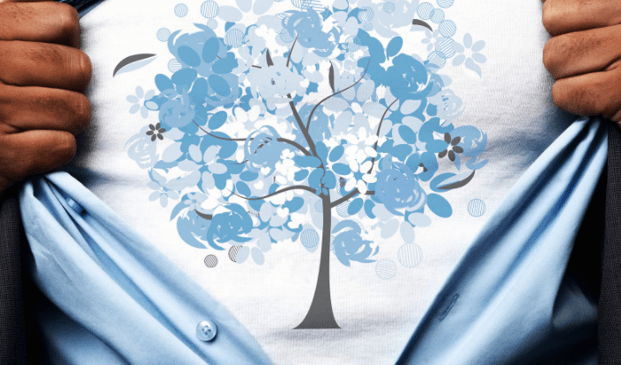 As a top financial adviser in Cheshire and Manchester, Succession Group provides clients with a strong network of experienced advisors and industry partners, ensuring that the firm can handle a variety of unique client needs. With additional specialisms in independent schools and women, Succession Group is one of the best financial advisers in Manchester and Cheshire to consider partnering with this year. Finding a trusted, expert financial advisor in Manchester and Cheshire can be a significant challenge. It’s a decision that can’t be taken lightly because Manchester and Cheshire financial planners and wealth managers are going to be the drivers of how a client grows his/her wealth, maintains it over time, and how that individual is able to plan for the future, whether it’s life milestones or unexpected situations. The names above are Manchester and Cheshire wealth management companies and Registered Investment Advisers that not only excel at what they do, but also do so in a way that’s entirely focused on the client. From transparent fee structures to guiding principles, each of the above independent financial advisers represents the very best.